There surely can’t be anyone who has ever written more words for Doctor Who than Terrance Dicks. Author of television scripts, Target books, original novels, stage plays… add in a fair few other curiosity pieces (we’ll get to those) and the rewrites he did on other writers’ work during his time as script editor and you have a surely incalculable number of words (unless your name is Andrew Pixley) hammered out over half a century or so. The good news for fans is that just about all of this mighty body of work can still be found in one form or another – and, in most cases, it won’t cost you the Earth to buy it. Join us as we present The Doctor Who Companion guide to the best of Terrance Dicks… on eBay! 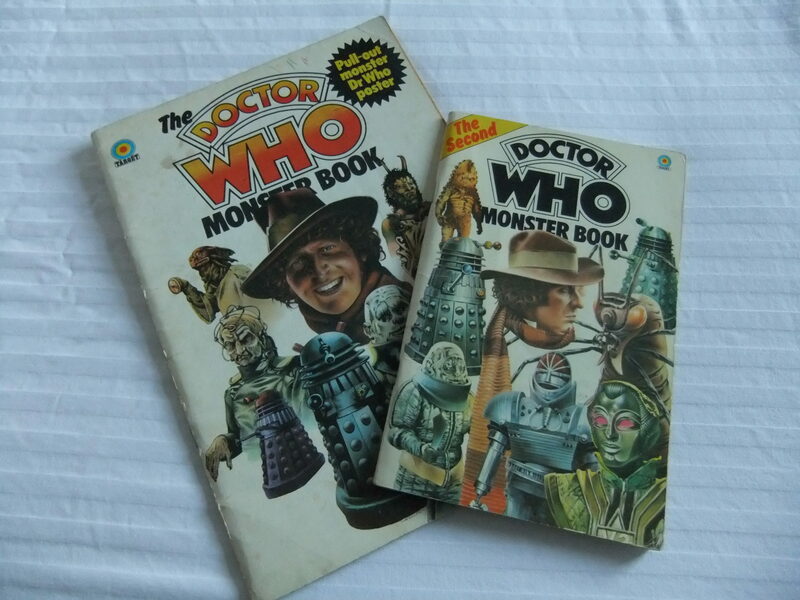 I’ll start, if I may, with a book that Doctor Who fans of a certain age hold very dear to their hearts: The Doctor Who Monster Book, first published in 1975. For impressionable youngsters like me in the pre-Doctor Who Weekly era this was our first chance to get a look at the Doctor’s old foes in print… and what a fearsome looking bunch they were. In later years, viewing the old stories on video and DVD, the moving images of Daleks, Cybermen and the rest felt slightly disappointing compared to the well-chosen photos (all in black and white) in this slim but still awe-inspiring volume. 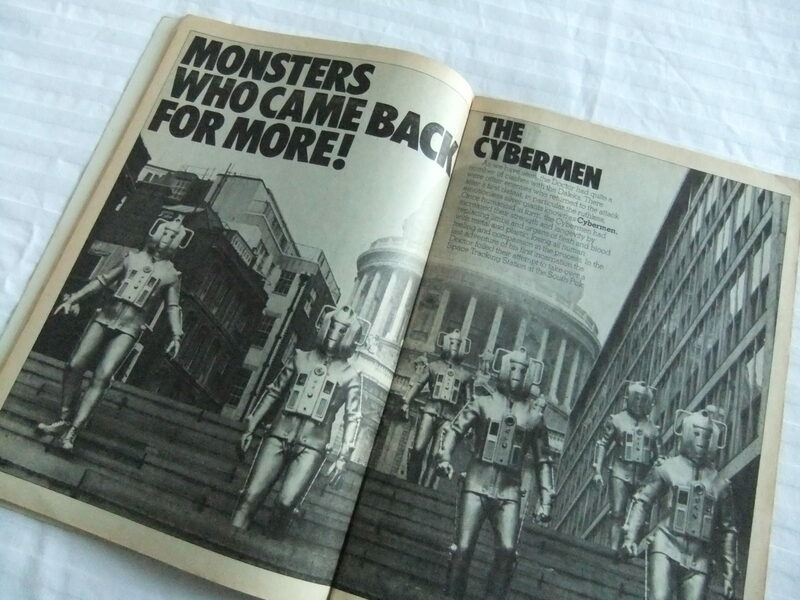 Add to that the headlines captioning the photos (‘The Worst Came First!’, ‘Monsters Who Came Back For More!’) and Dicks’ clear, readable prose and you have a Doctor Who publishing classic. You’ll find it on eBay for a tenner or so, though it’ll set you back considerably more if it still has the poster which came with the original edition. The follow-up, unsurprisingly titled The Second Doctor Who Monster Book, is entirely devoted to Tom Baker’s Doctor and, being somewhat rarer, generally goes for nearer £20. Having said that buying Terrance Dicks books needn’t cost you all your pocket money, an exception has to be made for hardback Target novels – have you seen how much they go for?! 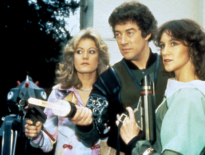 When I last looked on eBay there were ex-library editions of The Three Doctors, Pyramids of Mars, and Planet of the Spiders with ‘buy it now’ prices upwards of £60, though people ask for much more in some cases. Maybe the money will help pay the fines? Another noteworthy item seemingly worth its weight in gold is the novelisation of The Wheel in Space. Published towards the end of the Target run, a low print run is apparently the reason why it goes for such eye-watering sums: around £30-60 for the paperback and (be sure to sit down for this bit…) £300 hardback… gulp. Happily, that kind of sum is at variance with typical prices for most other books in the Target range, and there’s a wealth of Dicks’ other novels sure to be available at any given time for no more than a few quid. It’s been said that the Doctor Who novels sold over a million copies so there are still plenty knocking about. If you fancy building up a collection, check which edition is listed (reprints will be worth less than first editions) and have a think about which covers you want to go for. Each of the Target artists have their fans but Chris Achilleos’s iconic 1970s covers are the ones to aim for in my view. If you’re just after a good read then maybe try some of the early titles such as The Auton Invasion or Day of the Daleks, which in some cases differ markedly from the televised versions – in the early days of the range, with no expectation that every story would be novelised, writers had much more freedom to introduce new elements and sequences (Malcolm Hulke’s books are also recommended). A few of those curiosities, then. Terrance Dicks has always been a writer who’s been happy to turn his hands to just about anything provided there was a demand for it, so there are a number of books outside the regular Target range which are worth looking out for. A range of Junior Doctor Who novelisations didn’t take off, leaving Junior Doctor Who and the Giant Robot and Junior Doctor Who and the Brain of Morbius as the only titles published – as is the way of these things, the limited success of the books means copies are harder to come by and prices are consequently higher. The Adventures of K9 and Other Mechanical Creatures was another attempt to reach the younger age group and included a make-your-own K9 to cut out and keep! 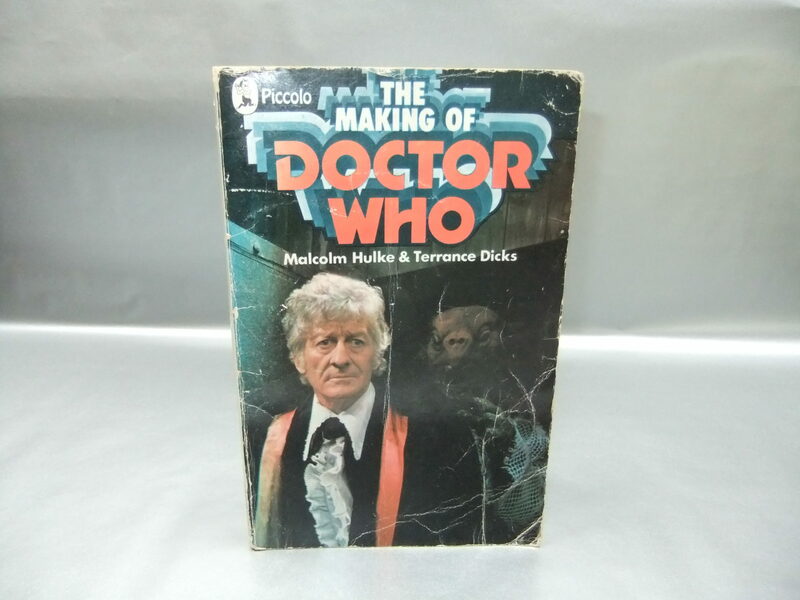 Another favourite of mine is The Making of Doctor Who, co-written with Malcolm Hulke, which has the distinction of being the first ever non-fiction book about the series (read my thoughts on it here). 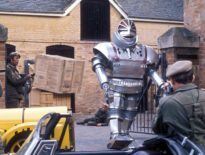 The second edition, covering production of Robot, is much easier to come by than the first, which examines The Sea Devils – both are well worth a read. I’ve barely scratched the surface here, of course, such is the vast body of work Terrance Dicks has produced over the years. What are your recommendations? Which books by Doctor Who’s elder statesman are the ones all fans should have on their shelves? Let us know!